If you’re looking for the best soft cooler on the market today, look no further than this outstanding model from Engel. This large, durable cooler from Engel outperformed our expectations of insulation, was easy to use, and handily outcompeted the Yeti Hopper Two 30 to become our new Editors' Choice soft cooler. 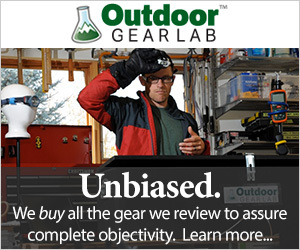 It boasts one of the best insulation values on the market and maintained a temperature of or below 40F for over a day longer than the Yeti model. With an incredibly durable construction and easy to use design, this cooler was a favorite among our testers. The shoulder strap was surprisingly comfortable to use, despite being the largest cooler we tested, and the removable bottle opener came in handy on many occasions. Whether you pack it to the brim and lug it with friends or throw a picnic inside and cart it to the beach, we think you'll come to love the Engel HD30 as much as we have! We tested these coolers climbing over rocks, wandering down to the beach, picnicking outside and just about any other way we could think of. The Engel HD30 stood out from the pack with its tough construction and incredible insulation value. It was surprisingly comfortable to carry for its size and impressively easy to use, and it was a no-brainer to name this soft cooler our new Editors' Choice award winner. To learn more about how it overtook our previous Editors' Choice, the Yeti Hopper Two 30, read on! The HD30 was a joy to bring with as it was shockingly easy to carry, extremely rugged and had an amazing insulation value! Insulation is the most important quality of any cooler, and as such, we weighted this category more heavily than any other. Not only did we test insulation in the field by lugging food and drinks around during our travels and adventures, but we also systematically tested each cooler under the same conditions to really be able to tease apart the differences between them. This is one place where the Engel shined brightly. Along with the Homitt 30 Can, the Engel HD30 held temperatures at or below the FDA-recommended safe temperature of 40 degrees Fahrenheit for nearly four full days! That's over 24 hours longer than our previous Editors' Choice, the Yeti Hopper Two 30. When examining the design of the Engel, it's easy to see why. The Engel appears to be insulated with either one complete, unbroken layer of thick insulation, or a few well-connected pieces of insulation, which act as a unit. The top zipper is waterproof, protecting the contents of your cooler from the heat outside. The Engel also features a patent-pending vacuum-valve on the side; you can further insulate your beverages by sucking out excess air from between the insulation and outer, waterproof layers with your household vacuum hose. You can also keep the cooler relatively closed while grabbing a brew for your buddy or snack for yourself, by keeping the ends of the top zipper clipped down into place. The only complaint we could come up with when it came to the insulation value of this cooler is that the back zippered pocket isn't actually waterproof. After sitting out in the rain completely closed for several days, there were several inches of water collected in the side pocket. Overall, we were seriously impressed with how handily the Engel outlasted the chill-capacity of the Yeti Hopper Two 30. One of the top scorers for insulation value, the Engel was a seriously impressive soft cooler. The Engel is easy to use. We were initially concerned about the small slit opening on the top of this cooler, but once we unclipped the side buckles, it was quite easy to get food and beverages in and out. It's also relatively large and can fit many things inside - up to 48 cans - and is the largest soft cooler in our review. Engel also included a handy tube of zipper lubricant, with instructions on how to apply it every month or so. That, combined with the handy pull tab made this cooler very easy to open - a common complaint about many similar style zippers. There are also many easy to use handles all over the Engel, from an adjustable shoulder strap to side handles that can attach together for a more comfortable carry. There are even rounded handles on either end when you require a friend to carry the other side of a heavy load. The detachable bottle opener was also a great touch. Not only did it mean we were never without one when we needed it, being able to come off, get passed around the group and then reattached was a great asset. That being said, the Engel's style of zipper will always be a little harder to get in and out of than a flip-top cooler like the Yeti Hopper Flip, RTIC SoftPak 20, or Homitt 30 Can. Yet for this style of opening, the side clips of the Engel made a big difference in putting things in, getting them out, and keeping the cold air contained inside in the meantime. At the end of the day, the HD30 was incredibly easy to use and had all the amenities we wanted in a cooler. The Engel even comes with this handy bottle opener that can be attached anywhere around the cooler's webbing! Durability is yet another category where our Editors' Choice award-winner stands out! The Engel is made of thick, abrasion-resistant fabric. Even after a week of sitting out in intermittent rain showers, this cooler showed no signs of being waterlogged, beyond some water standing in the exterior pocket. All the carry straps are thick and strong, and we couldn't find any points of weakness. Even the stitching is doubled and tripled in places of high tension, adding not only to the durability but also the aesthetic value of this fetching soft cooler. The padded section for shoulder carry is also well-designed and is up to the task of helping you carry your cooler and refreshments around for years to come. After months of testing, we couldn't find any complaints about the durability of this hardy cooler. Our only potential concern was the plastic clips holding the shoulder strap to the rest of the bag, but we never experienced any issues with them. The Engel will stand up to all your adventures! Portability was the only category the Engel didn't receive top-notch scores in. As the largest cooler in this review, it makes sense that it was a bit more challenging to carry around - especially when full. We were impressed with the portability of this model, especially when you take the overall size into account. The shoulder strap is conveniently situated for a fairly comfortable messenger-style carry. Rather than being attached to the ends of the cooler, like most others with a shoulder strap, the Engel's strap is attached near the ends but on the front and back of the cooler. This allows the whole thing to sit closer to your body to avoid bashing into the backs of your knees with every step. It can also be reversed to carry just as easily over your other shoulder when the first one gets tired. Even better, the shoulder pad attached to the strap has seams sewn across the padding to prevent it from all being squished unhelpfully to the ends after years of use. We also liked how the Engel has four hefty plastic D rings near the top that can be used as tie-down points to the rack on the top of your Jeep or back of your quad, making this more than just a carriable cooler. Compared to other models in this review, the Engel is relatively large. When it's packed to the brim with game-side beverages and snacks for you and all your friends, it can be incredibly cumbersome to carry. It's not our first choice on a five-mile hike to a waterfall for a romantic date, as you'll likely be so sweaty and tired when you get there, and you'll have no energy left for your date. However, if you've packed this thing to the brim with food and drinks, the end handles will really come in handy. Just grab a buddy to help you lug all those delicious delights to the best patch of sand or hottest seat in the house! When you break it down, it's a tad less portable, but what you lose in portability is totally worth what you gain in insulation value and durability. Despite its large size, this cooler was surprisingly comfortable to carry. If you're one of those people who settle for nothing but the best, then you've found it! The HD30 is an awesome all-around soft cooler that thoroughly impressed us. The large capacity allows you to pack for a whole weekend of grilling steaks and making eggs in the woods. The welded insulation keeps things impressively chilled for days. While its overall size means the Engel may not be ideal for long hikes through the mountains or strapping to the back of your bicycle, it's well-equipped to be carried short distances. And your friends will thank you for keeping their brews cold too! If insulating power, durability, ease of use, and a reasonable price tag are what you're looking for in a cooler, the HD30 fits the bill! This is all too good to be true, you may think. A cooler this good, that has dethroned the long-popular Yeti soft coolers might be possible, but at what cost, you may wonder. Believe it or not, the HD30 is significantly less expensive than the Yeti Hopper Two 30! While you'll still shell out a pretty penny for this high performing cooler, it's only about half the cost of its Yeti counterpart and outperforms the Yeti to boot! But if you're not willing to pay the $150-$200 for our Editors' Choice winner, perhaps consider checking out our Best Buy winner, the Homitt 30 Can instead. But if you're looking for the best, you've found it, and the Engel is well worth its price. You'll be happy you spent the extra dough on this cooler when it keeps your beers cold and frosty even after sitting several days in your hot car! We had a hard time finding anything to not love about the Engel. As far as soft coolers go, this one is top notch. It's an excellent choice for packing a family picnic, spending the day tailgating, or bringing along yogurt or brews on your weekend camping trip. 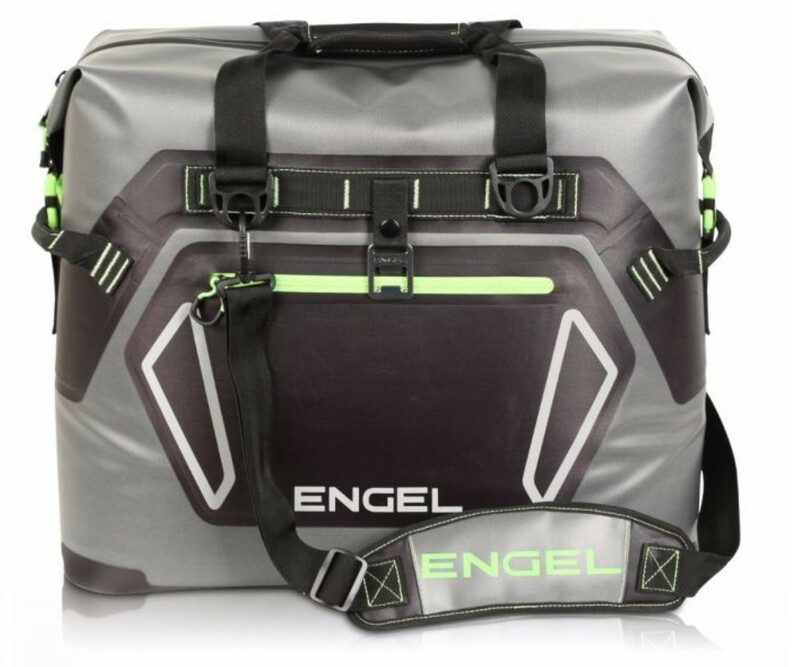 If you're looking for a cooler to hike with or something to cart your work to lunch, the Engel is likely not going to be your first choice. But for a large capacity soft cooler, this one is versatile, durable, easy to use, and has one of the best insulation values available today. Outscoring the Yeti Hopper Two 30, this cooler kept our beers chilled until it was time to raise a toast to our new Editors' Choice, the Engel HD30! We loved the Engel, whatever the weather! Amazon $194.56 - 3% off!